"The world is so full of a number of things, I'm sure we should all be as happy as kings," sings poet Robert Louis Stevenson in an apt summary of the wealth and diversity in nature's plant kingdom. 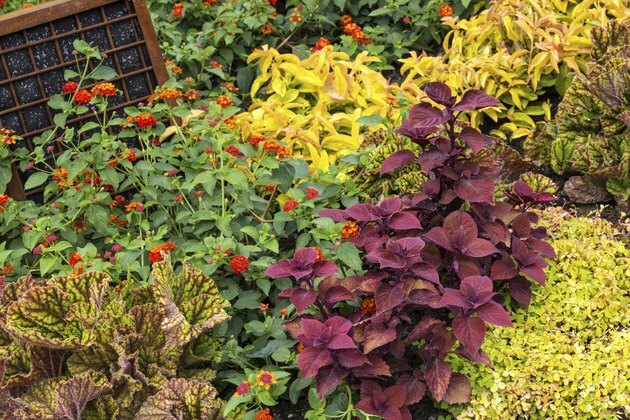 These days, botanical or plant diversity is an oft-heard concept, but it can be difficult to determine what it means to the individual gardener or homeowner. In an article published by the University of Kentucky Department of Horticulture, however, Extension Professor William M. Fountain boils it down as the degree of variation in a system in any defined area, from a home landscape to a continent. A colorful variety of plants in a home garden. "How can you govern a country which has 246 varieties of cheese?" Charles de Gaulle lamented, reflecting the big issue that many human beings have with diversity. Conservationists agree that the more plant species in an ecosystem, the healthier and more robust it is, yet a stroll down any lane in suburban America offers yard after yard of similar plants set in straight rows. American culture values the neat and the familiar in home landscapes, and nurseries offer the plants consumers seek; as a result, the biodiversity of the nation declines. Biopests are usually picky, relying on only one species or a handful of closely related species. If an area has many species, the distance between specimens of the same species increases, and insects and diseases can't hop conveniently from one to the next, decimating an entire species. Almost every time a species has been wiped out in large numbers, it grew in exclusive stands, such as the American chestnut tree (Castanea dentata, U.S. Department of Agriculture plant hardiness zones 5 through 8), largely eliminated by a host-specific fungus. This is also true in the home garden, as demonstrated by the demise of photinia (Photinia x fraseri, USDA zones 8 through 9) and Leyland cypress (x Cupressocyparis leylandii, USDA zones 6 through 10). Gardeners know soil is more than the dirt beneath their feet; it's a living ecosystem filled with organisms from microscopic bacteria to earthworms -- collectively known as the soil food web. These organisms decompose plant debris and convert nitrogen, enhancing and enriching the place plants' roots call home. The richer the soil food web, the more fertile the soil. Since the food web partially depends on the plants that grow in it, the more different species you plant, the richer and healthier the soil. Your plants belong to you, but in a larger sense, they serve your community, since diversity is the sum of all backyards. 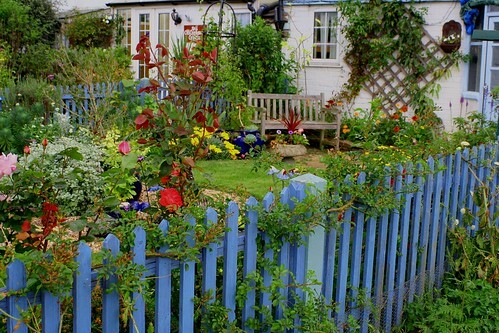 You can preserve biodiversity by abandoning the idea that your garden should resemble your neighbor's. Don't plant overused species and space related specimens far apart in your yard. Visit your local botanical garden for inspiration rather than the neighborhood nursery that likely offers what you see in your neighbors' yards. Don't plant the same veggies year after year. It's worth your time to seek out different species, especially native species; not only will this help in creating biodiversity in your community, but it will also reward you with fewer garden pests and plant problems. What Grows in Loamy Sand?